I can't find an online version of the BE4716 (Becker Navigation & Sound) manual but the link downloads the manual for the BE4720 which is a very similar unit which operates in almost exactly the same way. in digital format. The 2 links are for the American NTG1 and American NTG2 as fitted to many Mercedes. 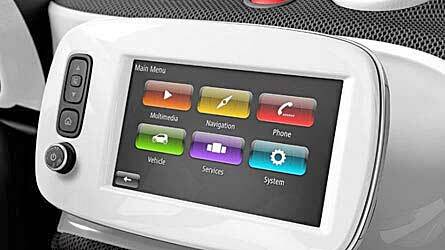 The information should relate to your smart Comand system in many ways. Do You Have A Stereo Manual That Isn't Above? Email me through the site so I can add it. in 2004 and then fully owned by Beko in 2007. Delphi (UK) make the Grundig branded stereos. (Harman/Kardon) in 1995 and are still run as a separate brand. Becker stereos are now labelled Harman Becker. An American company that was spun off from the Ford motor company in 2000. A Japanese digital entertainment company founded in 1938 as an electronics repair shop. Renamed Pioneer in 1961 they are now a massive electronics company making stereos, CD/DVD players and TVs. create a stereo that gave you full control over an iPod using the stereo and the stereo also displayed track info. 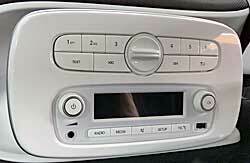 for many car manufacturers and Bosch have recently started branding OEM stereos using the Bosch name. Thanks to TAIM and Bjorn for the service manuals.